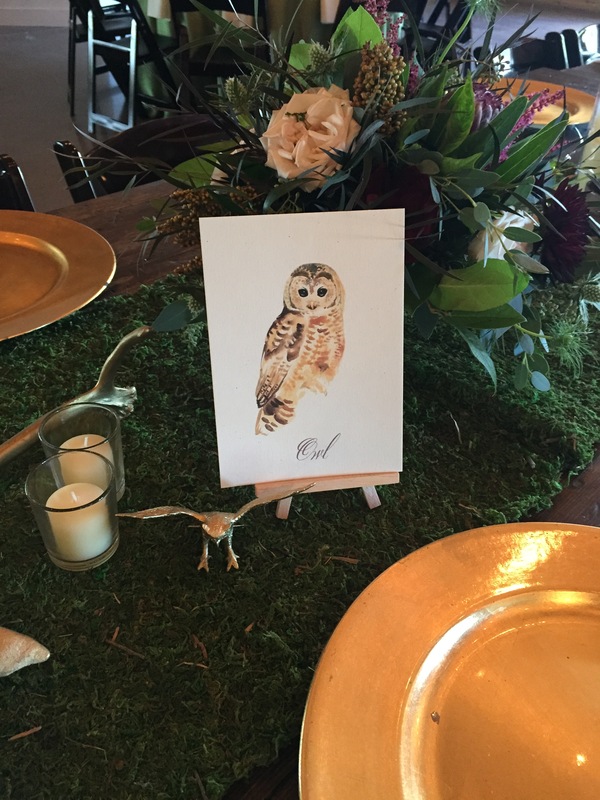 Liz was having a tough time deciding on which owl to use on the Save the Date so we did have with the flying owl and half with the perched owl. 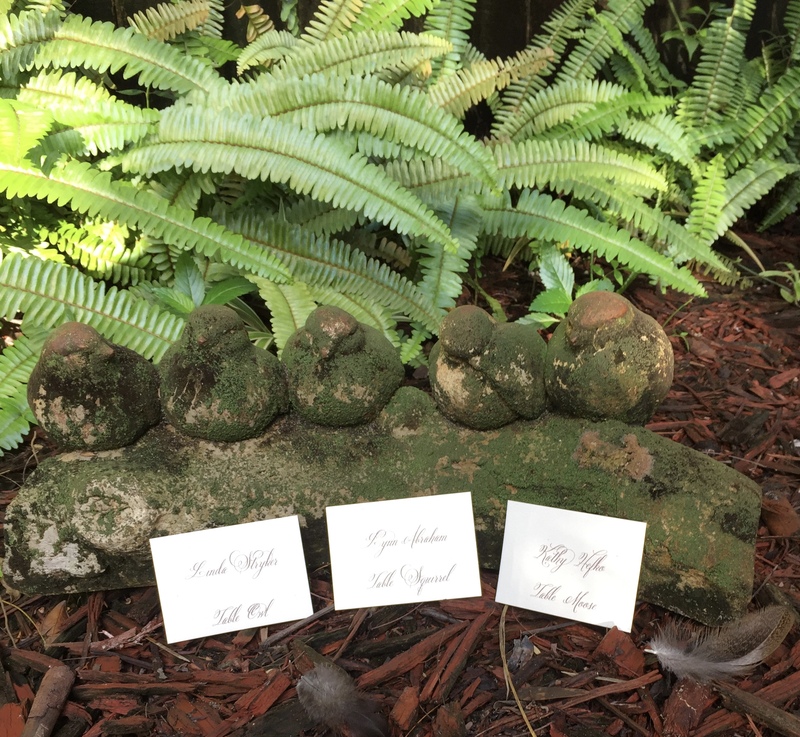 Rich colors of marsala, moss green and gold. 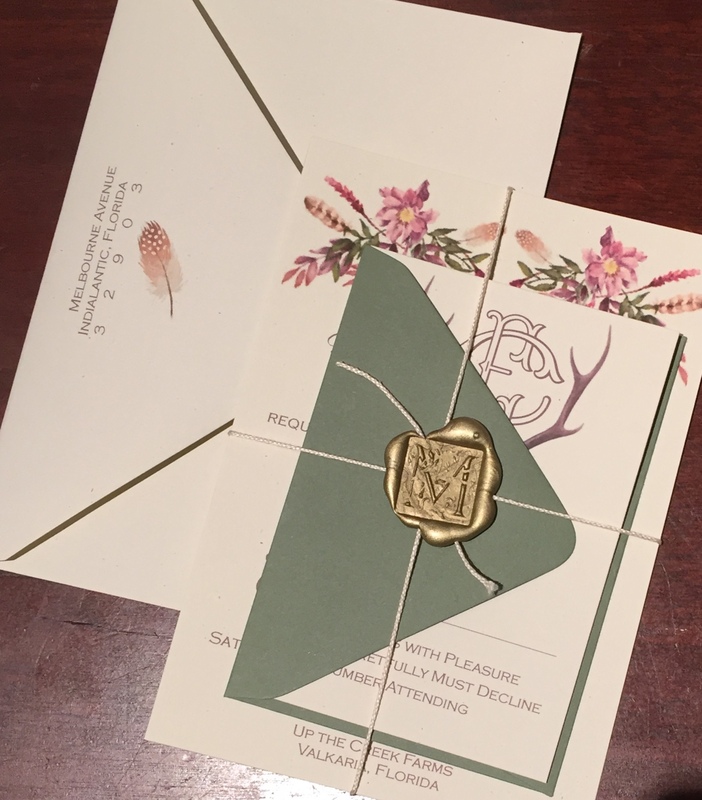 Marsala folder, gold liner and wax seal, moss green RSVP envelop. 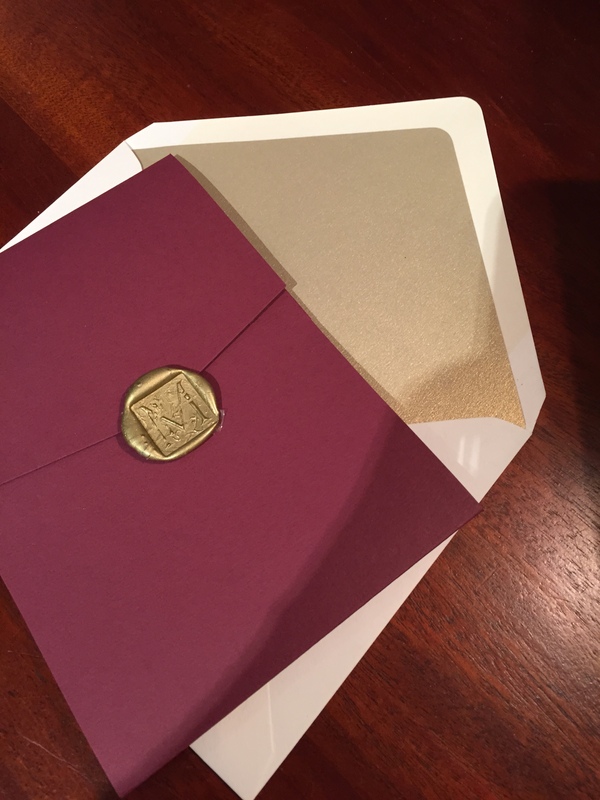 Alternative style without the marsala folder. 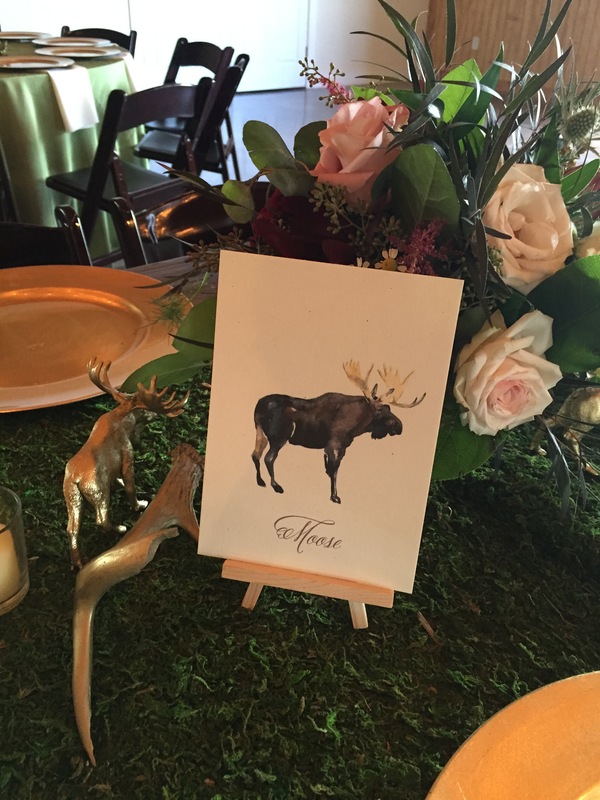 Wild animal names were used for the table cards, accompanied by a gold animal figurine. 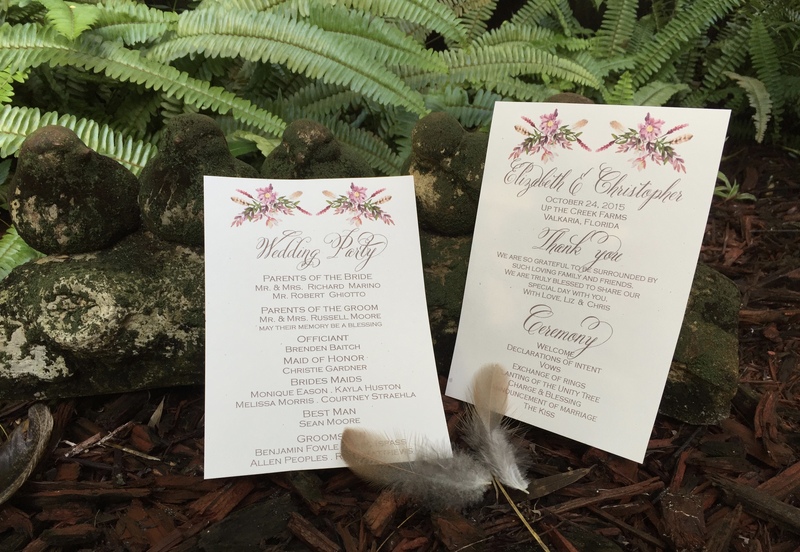 Custom Wedding Map with important weekend details and favorite spots. 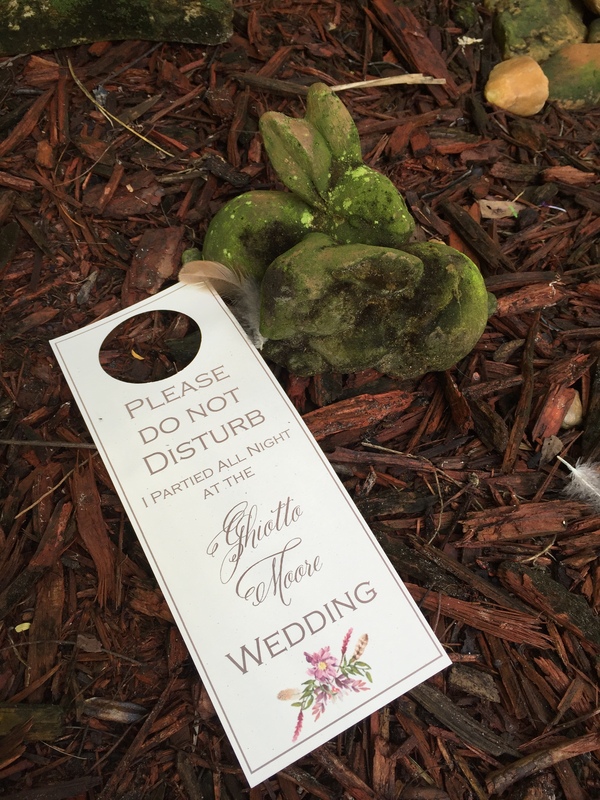 Fun Do Not Disturb door hanger for hotel guests.